This solid 14k gold Snake Chain is a slender chain that conveniently adujsts to any length up to 22 inches. 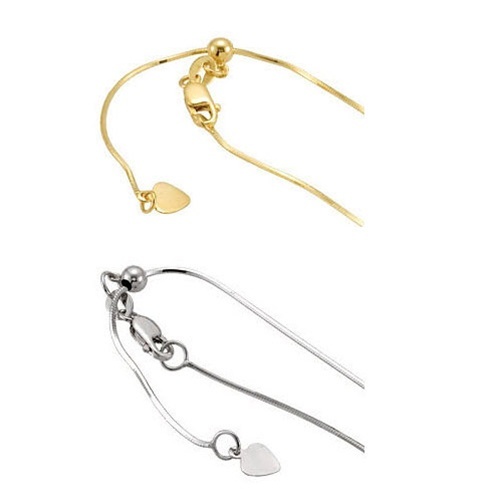 Match it with your favorite sterling silver Sorella Pendant for a beautiful combination. Available in 14k yellow or white gold.